Tha UEFA Champions League is back! 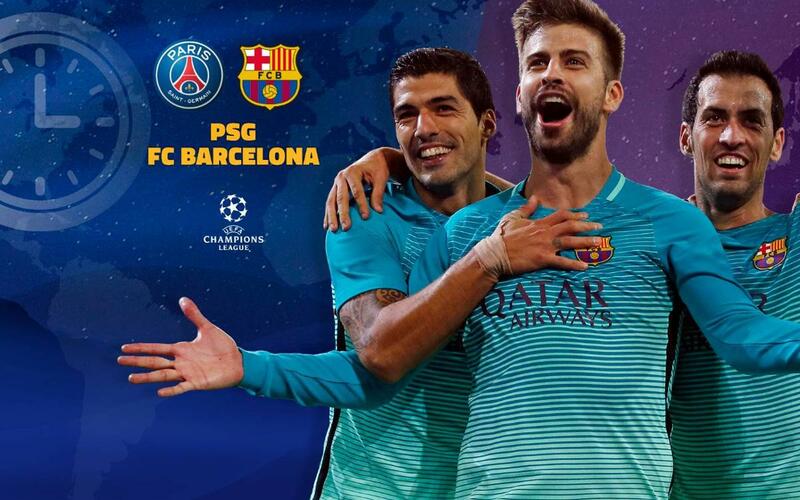 And on Tuesday night at 8.45pm CET, FC Barcelona visit Paris Saint-Germain in the first leg of the last 16! It will be the first time the two giants have faced off since the 2014/15 season, when Barça vanquished the Parisians in the quarter-finals, 5–1 on aggregate. Check out our handy TV guide below, which lists local broadcast information and kick-off times around the world. You can also listen to live play-by-play streamed in English on Radio Barça, as well as follow our exclusive, minute-by-minute updates on FC Barcelona's official English language Twitter account as the action unfolds. Don't miss it!